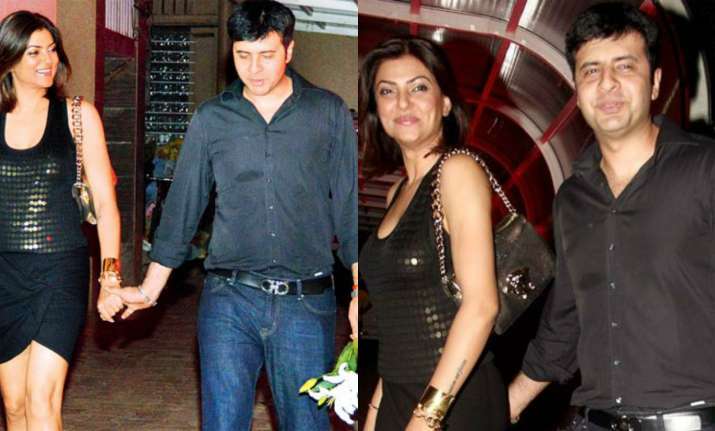 Bollywood actress Sushmita Sen and her boyfriend Ritik Bhasin have recently spotted together at a party. With this gesture, they clearly denied all the rumours of their breakup. Last night, both have indulged in some PDA (Public Display of Affection) at a party in Kemps Corner. A few days back, both Sushmita and Ritik attended Zaheer Khan and Sagarika Ghatge’s wedding reception together.